Give your kids room a timeless style while adding some storage space! Your little treasure can use this headboard to keep bedtime toys as well as an alarm. Such a handy piece who could pass it up? One hole in the back panel for easy wire management. The 2 open storage spaces are separated by a fixed shelf. Combines with the mates bed 3150212 for a complete kit. South Shore Bel Air Mates Bed 60 In. Pocono Twin Size Bookcase Headboard adds handy storage and complete the look of Pocono Twin Size Storage Beds #4600 and #4669. It features 2 open cubbies and 2 centre shelves. Pocono Collection from Nexera is a timeless and functional juvenile bedroom collection offered in a rich Espresso laminate finish with decorative metal handles. Add storage space to your bedroom with the King Bookcase Headboard. Designed to complement any dicor, this headboard comes with six storage compartments for your bedside necessities and accessories. The varying compartment sizes add visual appeal and give you display options for large and small items. This free-standing piece is designed to be paired with any standard king bed including our King Mates Platform Storage Bed. 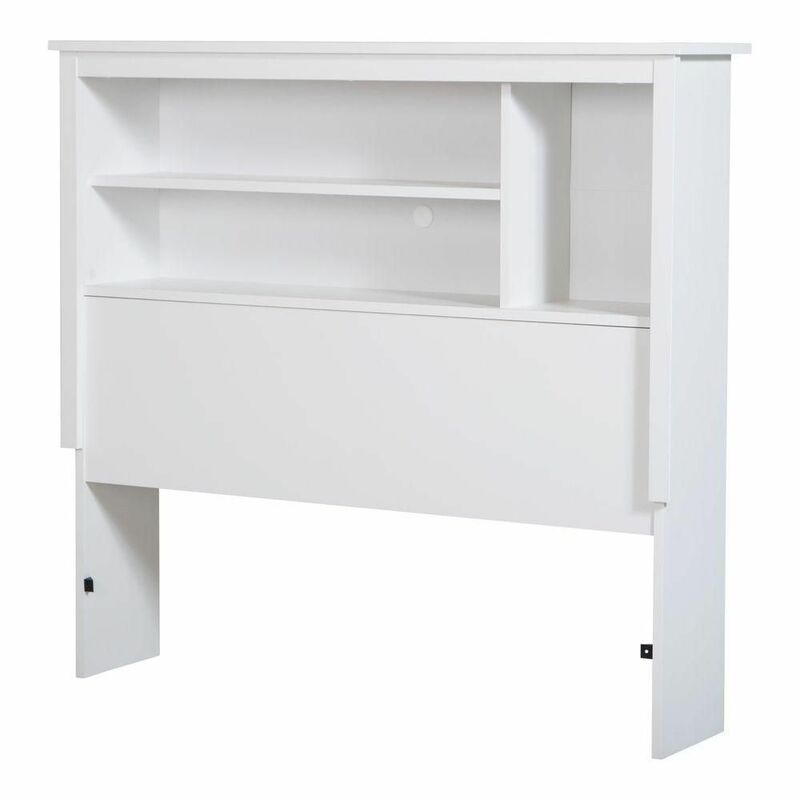 Bel Air Twin Bookcase Headboard (39"), Pure White Give your kids room a timeless style while adding some storage space! Your little treasure can use this headboard to keep bedtime toys as well as an alarm. Such a handy piece who could pass it up?